সেই কচিকাচাদের অবাক করে দেওয়া কাণ্ডকারখানা, আর "নির্ভেজাল আড্ডা, চা, আর সাথে টা", দিনগুলো এগিয়ে আসছে কিনা! You guessed it right. It's the AACE kickoff at 2 PM on next Saturday, May 20th at Sant Nirankari Mission, located at 13906 San Antonio Dr, Norwalk, CA 90650 (https://goo.gl/maps/rcds6vjQHaU2). If you have not done already, please take a moment and fill out the attached AACE Intake form and email it over to Siddhartha Dattagupta (dattaguptas@gmail.com). You can send either a scanned copy or a saved copy of this form before the kickoff. If you have any issue sending this form by email, you can even carry this form to the venue on the day of kickoff. Please make sure that you carefully fill up the weekend dates of your kid's availability. This is extremely important for planning and prepare for a successful program. Also, if your kid plays any instrument, make sure you mention that in the form with an estimated proficiency level. It's middle of May already and June is not far away. 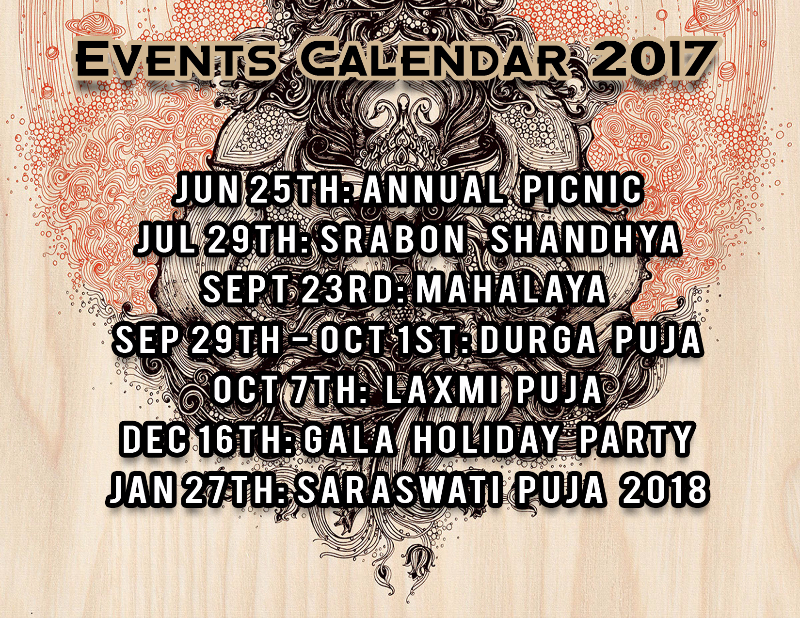 Sending another reminder you way to block your dates for Dakshini Annual Picnic and Srabon Shandhya. We will let you know the venue details for both events in future communications.